Was feeling energetic this week so this is another NEW post from me. From the early 70's a great Philly song getting a disco treatment from me. 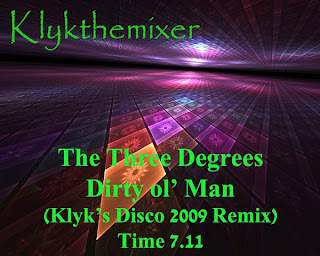 I've taken this mix from the original extended version to add some breaks and vocal parts not in the Single version. Also I have added a new instrumental part towards the end just to build up the last chorus. Enjoy and leave comments please. This is just fantastic, so good! I love disco and this disco treatment is excellent. Love it!